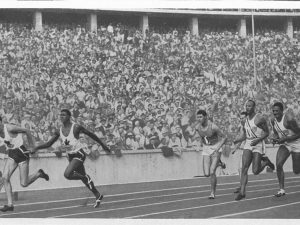 PHOTO COURTESY CENTRAL TECHNICAL SCHOOL ARCHIVES: Sam Richardson passes the baton during the men’s 4×100 relay during the 1936 Summer Olympics in Berlin. Like Jesse Owens, who became a friend, Richardson proudly represented his nation while facing the institutionalized racism of Nazi Germany. Long before Canadian legend Donovan Bailey took to the track, athlete Samuel “Sam” Richardson realized his own dream when he sprinted on the grandest field of them all at the 1936 Summer Olympics in Berlin, Germany. 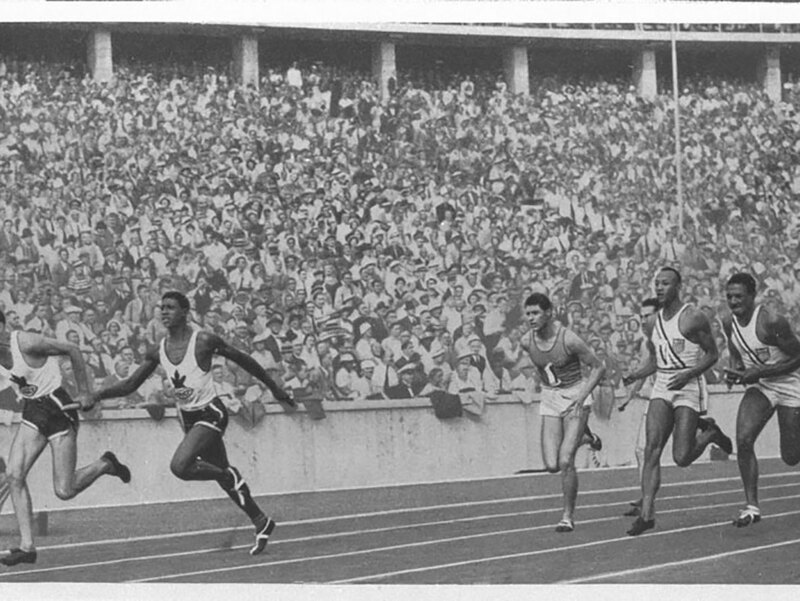 Competing against the likes of Jesse Owens (who became a friend), Richardson held his own, coming in fifth as a member of the men’s 4×100 metre relay team, and finished 14th and 20th in the long and triple long jumps. Like Owens, he proudly represented his nation while facing the institutionalized racism of Nazi Germany. At 15, Richardson won the gold medal in long jump in London, England, at the 1934 British Empire Games, now known as the Commonwealth Games. At that time, he was the youngest competitor to ever win a gold medal in track. A year later, he would set a Canadian record of 25 feet in long jump at the Canadian Track and Field Championships in Winnipeg; a record that wouldn’t be broken for another 25 years. Between London and Berlin, he also represented Canada in France, New Zealand, and Australia. After his athletic career, Richardson began his service at the CBC in 1955 where he worked as a stagehand crew leader on the hit comedy The Wayne and Shuster Show, which aired the same year he started, as well as the children’s television show Mr. Dressup. It was thanks to a school project that Stacey got to know more about his dad. “There was an assignment I was given in school to do some research on a Canadian athlete. My teacher was assigning different athletes and I had mentioned to my teacher that I knew of an athlete that wasn’t mentioned. Richardson was 51 when his son Stacey was born, and 70 when he passed away in 1989. Some of the faculty and students at Central Tech, which recently celebrated its 125th anniversary, are aware of the handful of Olympians who got their start at the school: Atlee Mahorn, Carl Folkes, Anthony Wilson, and Keturah Anderson. This is some pretty amazing stuff, Stacey! You spoke quite eloquently and proudly of your father in this article. He certainly was an accomplished athlete and a great Canadian. I’m proud of him and I’m proud of you. ?